Sterility testing and method validation have been in the news a lot lately, courtesy of the criminal court cases against US company, the New England Compounding Center. NECC has been tried over their role in releasing contaminated methylprednisolone, a drug used for epidural steroid injections to relieve back pain and operating as an unlicensed manufacturer. Compounding pharmacies produce medications from scratch to fill individual prescriptions, so they are not required to test for sterility. They are regulated under State Governance, as opposed to licensed manufacturers who must follow FDA regulations. The NECC was not regularly performing sterility testing and was not preparing the product with preservatives to inhibit bacterial and fungal growth. E-mails that were shown as evidence in the NECC trial revealed that the head of the company knew they should have been performing sterility testing all along. Unfortunately, that was just weeks before it was discovered they had shipped out a contaminated product, across the United States. The resulting outbreak of contaminated product with fungal meningitis killed over 50 people and injured almost 800 more. What is sterility testing and method suitability? Sterility testing is the series of assessments performed at every step through the manufacturing process of products that are supposed to be sterile. The tests are designed to prove, as far as possible, that the products will be sterile when they reach the consumer. When the product contains a preservative, the sterility test must neutralise or dilute the antimicrobial activity. This ensures that the product is sterile due to your manufacturing processes, not due to the antimicrobial agents in the product. Method suitability testing checks that microbial growth is not prevented from being seen under non-sterile conditions. This is required to assess appropriate sterility testing is performed and is crucial when preservatives are present in the product. Antimicrobial activity is part of the suitability testing, in that you are testing that the antimicrobial agents in the product have been neutralised. Without this confirmation, you cannot be sure if your sterility test shows that your manufacturing process is sterile, because contamination would be masked by the antimicrobial active agents in the product. The US, European, and Japanese pharmacopoeias all require sterility testing, including method suitability testing, and it is dangerous to ignore those requirements. Sterility testing is not an issue to take lightly, even though some are tempted to skip it, as New England Compounding Center did. The process requires 14 days to produce a negative result, before the release of a product, and can be a burden to small-scale producers because it requires testing at least 2% of the output. Along with the sterility testing, method validation is required for every new product and change in experimental conditions of the test. Once validated, if there are no changes, it is then part of Quality Risk Management to identify when to re-assess the method validation. To prevent sterility testing from becoming an afterthought, treat it as part of your standard procedure in product production. Any standard testing procedure needs to include positive and negative controls. If you do not know if your testing procedure is capable of detecting contamination, how will you know sterility is fit for purpose? If you do not know if a contaminated sterility test is caused by contamination in the test itself, you could spend countless hours and money hunting for a non-existent problem. These controls pay for themselves when they detect inconsistencies. The pharmacopoeias set out very clear guidelines on how method validation is to be performed. There are two major types of tests: membrane filtration and direct inoculation. Membrane filtration uses membrane filters with pores 0.45μm or smaller, designed to retain microbes during repeated rinsing steps to remove any preservatives, then tests for growth in suitable media. Ensuring that the media used captures both aerobic and anaerobic microorganisms. Direct inoculation places the product being tested directly in the suitable media for aerobic or anaerobic growth but uses dilution or neutralisation to mitigate the effects of any antimicrobial compounds in the product. It is up to the manufacturer to decide which method is more appropriate. Once a method has been picked, then the goal is to see if fungi or bacteria will grow in the presence of the product when it is inoculated with either bacteria or fungi in the right medium. Here, correct choices in neutralising agents as part of rinses or integrated into media are crucial and any company performing method validation testing should make sure they have quality products to reduce the chance of introducing uncertainty. The media itself needs to be sterile before inoculation, and the appropriate components need to be used to filter out or neutralise the antimicrobial compounds. These requirements exist to show that the sterility test has the best possible chance of detecting contamination if it is present, while reducing outside factors that could produce a false detection of sterility. The New England Compounding Center case is a sobering reminder of the importance of performing sterility testing in all of its facets, including method validation testing. By deciding to ignore validation procedures along with other short falls, the New England Compounding Center put people’s health at risk. That decision led to sick and dead patients, a bankrupt company, and criminal charges for 14 of its former employees. Proper sterility testing is crucial, and there are resources available that can demystify it even further and help you design a good protocol. 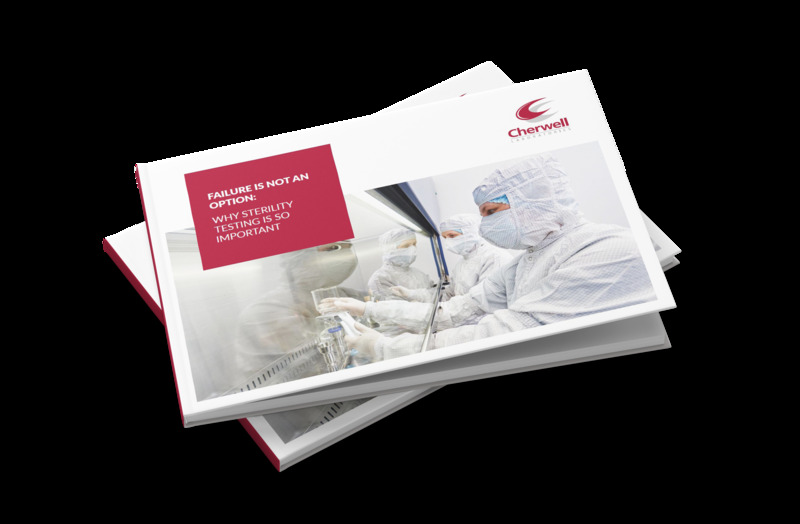 In this eBook we offer insights into sterility testing and how it assists in the prevention of contamination within your facility.